Elizabeth Mosley, CFO | Flowers Ministries, Inc.
Elizabeth Ann Mosley joined the Church of God of Prophecy in 1983 in her early 20’s where she accepted Jesus as your Lord and Savior and received the baptism of the Holy Spirit. Years later the Lord called her into the ministry, telling her that “He has placed his words in her mouth.” She became a license minister and served her church faithfully for many years. Some of her positions were Sunday School Teacher, Choir Director, Teen-Youth Minister, Prayer Group Leader and Praise Team Leader. She received her Ordination in 2003 where, Pastor J.L Flower was one of the signing councils. 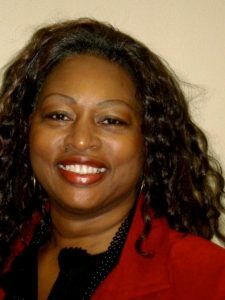 Later that year she accepted the position of Assistant Pastor for Flowers Ministries, Inc. and Shepherd Christian Center where she currently serves as the Executive Associate Pastor and Wednesday night bible study teacher. She holds a BA in Business Project Management from Cappella University and an AA in Accounting from Brookstone Business College. She is also a Licensed Real Estate Broker in multiple states, a Tax Preparer and a Business Developer. She Prepares documentation to register small businesses, charities and churches with 501c3 applications, incorporations, LLC filings, income taxes and organizational structures. She as created websites, branding resources, business plans, grant writing, fundraising, board and staff development teams. Provided training and consulting for other startup nonprofits, prepared federal, state and local compliances, maintained funding reconciliations, reports, management, policies, regulations, procedures, guidelines, problem solving, business development, implementations, registrations, business practices and credibility. © 2018 Flowers Ministries, Inc.. All Rights Reserved.